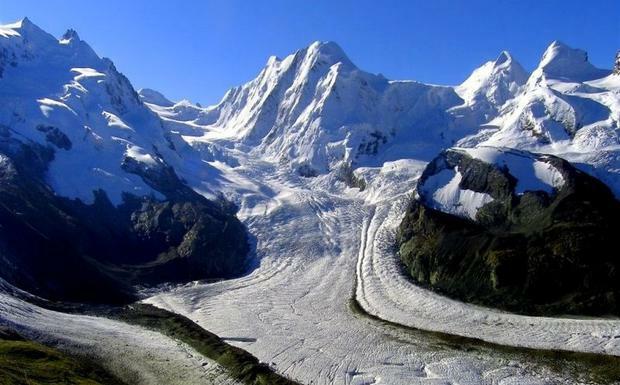 Earth's glaciers are melting much faster than scientists thought. A new study shows they are losing 369 billion tonnes of snow and ice each year, more than half of it in North America. The most comprehensive measurement worldwide found thousands of inland masses of snow compressed into ice are shrinking 18pc faster than an international panel of scientists calculated in 2013. "Over 30 years, suddenly almost all regions started losing mass at the same time," said lead author Michael Zemp, director of the World Glacier Monitoring Service at the University of Zurich. "That's clearly climate change if you look at the global picture." The glaciers shrinking fastest are in central Europe, the Caucasus region, western Canada, the lower 48 US states, New Zealand and near the tropics. Glaciers in these places on average are losing more than 1pc of their mass each year, according to a study in the journal 'Nature'. "In these regions, at the current glacier loss rate, the glaciers will not survive the century," Mr Zemp said. His team used ground and satellite measurements to look at 19,000 glaciers - far more than previous studies. They determined south-western Asia is the only region of 19 where glaciers are not shrinking, which Mr Zemp said was due to local climate conditions. Since 1961, the world has lost 9.6 trillion tonnes of ice and snow, the study found - enough to cover the lower 48 US states in 1.2 metres of ice. Scientists have known for many years global warming caused by human activities like burning coal, petrol and diesel for electricity and transport is making Earth lose its ice. A number of factors are making sea levels rise. The biggest cause is that oceans are getting warmer, which makes water expand. The new figures showed glacier melt was a bigger contributor than thought, responsible for about 25pc-30pc of the yearly rise in oceans, Mr Zemp said. Kevin Doyle Ireland will get 70pc of its electricity from renewable energy sources by 2030 under new plans.